I'm more than a little sceptical when it comes to the theory behind biodynamic wine growing. So when the opportunity arose to meet a wine maker using biodynamic techniques in his vineyards, I was intrigued to say the least. 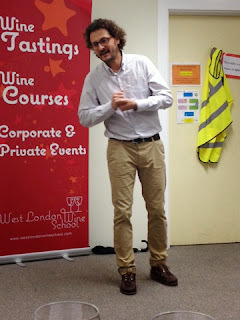 Add to that the fact that our host was to be the ever fabulous West London Wine School, I couldn't wait to go. 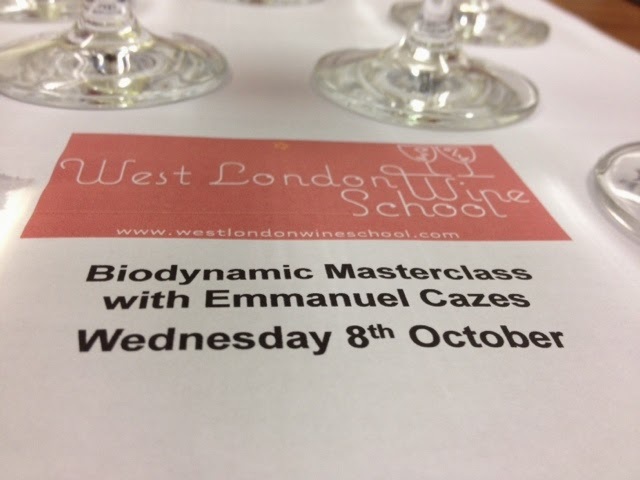 Cazes wines are organic and biodynamic, and have been since 1997. The decision to transition was made when their vines were diseased due to the fertilisers and pesticides being used on them killing the soil. They tried at first with just one plot of vines going biodynamic, but were so pleased with the results they converted the whole estate to biodynamic viticulture in 2005. They use low concentration solutions of copper and sulphur instead of pesticides . This has no environmental impact, and transforms the natural life of the soil. They also use nettles (iron rich), willow leaves (salicylic acid – the silicates fight fungus/humidity), horsetail (to fight weeds) to help treat the soil rather than using chemicals. The premise of it all is open mindedness, doing things differently and changing the traditional processes, doing things differently for the benefit of the soil and therefore the vines. And so, onto the wines. Canon du Maréchal Blanc, IGP Côtes Catalanes (2013) – ‘Canon’ is a French colloquial term for an easy drinking glass of wine, so this is the name they've given to their easy drinking red and white wines. This is a light, floral and fragrant wine, made from a blend of Muscat and Viognier - perfect as an aperitif or with white meat or fish, needing to be drunk within the first two years. 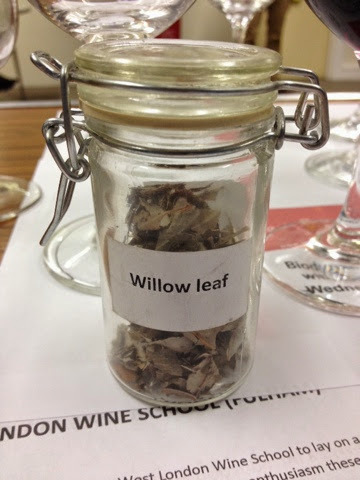 It has aromas of peaches and pears which also come through on the taste. Canon du Maréchal Rouge, IGP Côtes Catalanes (2013) – a 50/50 Syrah Merlot blend, and an ‘everday’ red, very easy drinking. It delivers ripe red fruit flavours, berries and black pepper. It’s not very complex, but hugely drinkable, a great dinner party red for the festive season. Ego, Côtes du Roussillon Villages (2011) – made with Grenache (40%), Syrah (40%) and Mourvedre (20%), this was our favourite of the night. This wine has a longer maceration time of 3 weeks, leading to more tannins, but as they are using riper grapes (due to the hotter weather), the tannins are soft. On the nose you get lots of ripe red fruit and spicy black pepper, and this comes through on the palate with deeper fruit flavours, spice and leather. Despite the full on flavour, it’s very easy drinking and well balanced with a deep long finish. Muscat de Rivesaltes (2010) – a golden yellow drop which delivers peach, vanilla, exotic fruits and floral notes on both the nose and the palate, and giving a lovely gentle warming feeling. Sam described it as ‘like eating Muscat berries’, which makes sense given it’s made from 100% Muscat. This would work really well with a fatty livery dish as much as a dessert. Ambré, Rivesaltes (2000) – a very traditional wine in the Roussillon region, a vin doux naturel (naturally sweet wine), and lightly fortified with neutral grape spirit. They are aged in big wood tanks with space left for air/oxidation. It’s almost brown in colour, and tastes like caramel and leather, rich and creamy, with a slightly oily Riesling-esque notes. A great match for dessert, and again would also be good with rich fatty meats or Foie Gras. Grenat, Rivesaltes (2010) – a Grenache Noir in a clear glass bottle, it looks different and tastes different too. It delivers concentrated jammy fruit, cassis, and a slight minerality. It seems drier than it's true sugar content. The production method of this wine is similar to that of Banyuls, but the main difference is in the terroir – clay and limestone with lots of pebbles. This is a great match with salted chocolate or red fruit. Cuvée Aimé Cazes, Rivesaltes (1978) – Named after Emmanuel’s Grandfather, this is a very special wine. The vintage indicated is the year that the aging process started, the wine spending 22 years in open wood cask. There is a 7% loss every year, which results in a highly concentrated and complex wine. It then spends a further 10 years in bottle – this vintage was released 10 years ago. There are slight oily notes on the nose, along with caramel. The taste is unexpected and far more complex in comparison, with the expected deep caramel, but also nuts, bitter marmalade, raisins and leather. It has a slight sherry or port-like aftertaste (depending on who you ask! ), but despite its age is surprisingly fresh tasting. Whilst I may not be completely convinced by some of the reasoning behind the biodynamic techniques employed (for example Preparations 500 and 501 sound almost completely insane), what is abundantly clear is the care Emmanuel takes to look after his vines. The end result being the production of some interesting, complex and downright delicious wines.